Loud Interactive is the dynamic, client-centered organization to contact when you're ready to blow your competitors out of the water in the online realm. 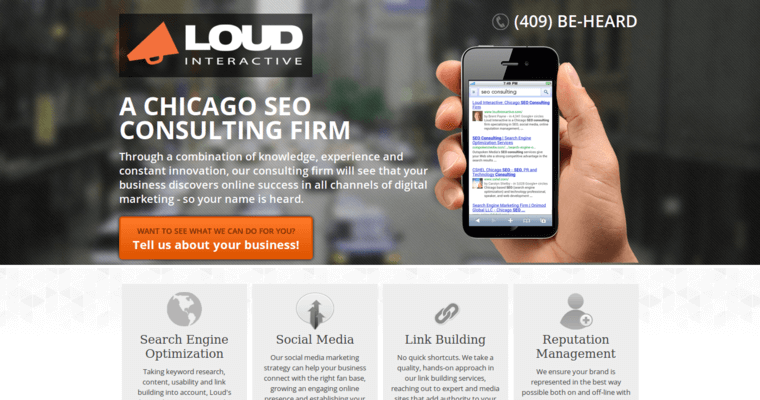 The professionals of Loud Interactive are excited about the process of providing clients with the plethora of search engine optimization (SEO) strategies which will ensure that the client's brand attains substantive placement in the search engine results pages. 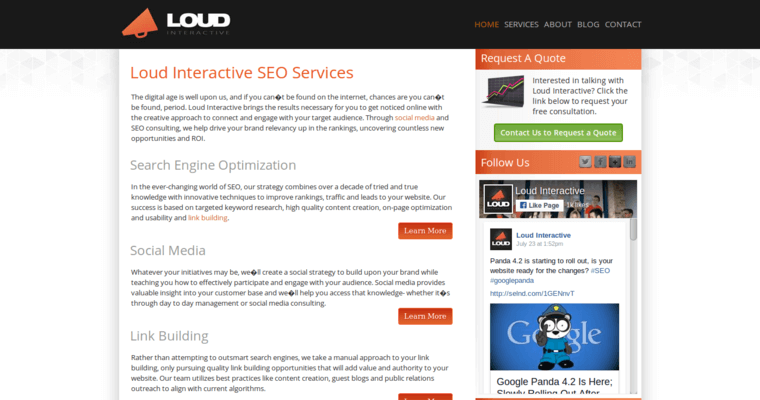 At Loud Interactive, primacy is placed on using key strategies such as link building and keyword analysis. These strategies are used in conjunction with others such as local SEO and target market research. 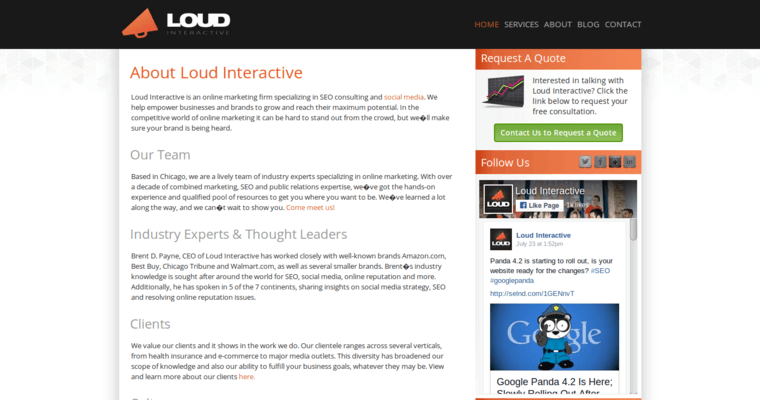 Choose Loud Interactive so you can start making waves in the online world soon!